Planet Recycling accepts a broad range of materials. Choose a material for a better understanding of these materials and how they can be transformed into new products by recycling and how we can help out earth through waste reduction. Paper is by far the most recycled of all materials. Successful paper recycling depends ultimately on the participation of individuals who separate and keep the paper clean for collection. 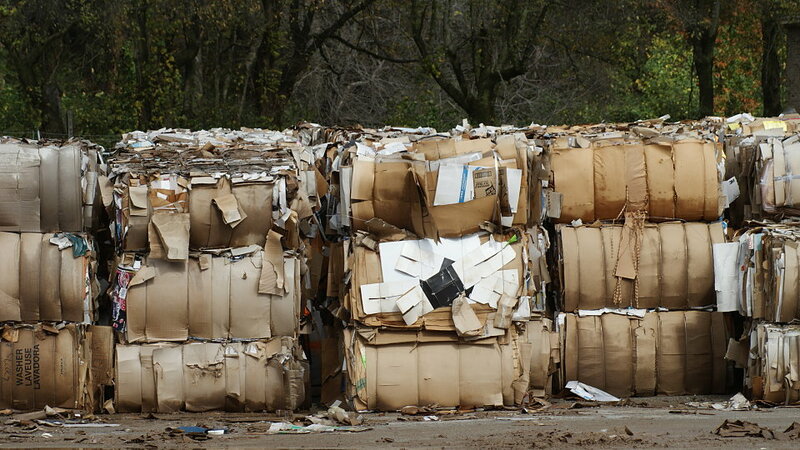 Recycling paper provides a valuable raw material for the manufacture of new paper products such as boxboard, construction board, newsprint, packaging paper, tissue, and more. Plastic is the most difficult of all recycled materials. Successful plastic recycling depends ultimately on the participation of individuals who separate and keep the plastic clean for collection. Recycling plastic provides a valuable raw material for the manufacture of new plastic products such as trash and recycling bins, bottles, flowerpots, carpeting, shower curtains, fiberfill, and more. Help our earth and conserve plastics by purchasing new items in recyclable containers and refilling containers with non-food products. You can also reuse cups to store items. Aluminum is by far the most valuable of all recycled materials. Successful aluminum recycling depends ultimately on the participation of individuals who collect and sell the aluminum to local centers. Recycling aluminum provides a valuable raw material for the manufacture of new products such as aluminum cans, window frames, rain gutters, and more. Help our earth and conserve aluminum by using reusable containers.